Rebel Janata Dal-United (JD-U) leader Sharad Yadav on Monday reacted sharply to the suspension of 21 members from Bihar, saying they were “loyal party workers”. He said the suspension of the 21 came after he visited Bihar just once after raising the red flag over Chief Minister Nitish Kumar’s decision to snap ties with the Grand Alliance and tie up with the BJP. 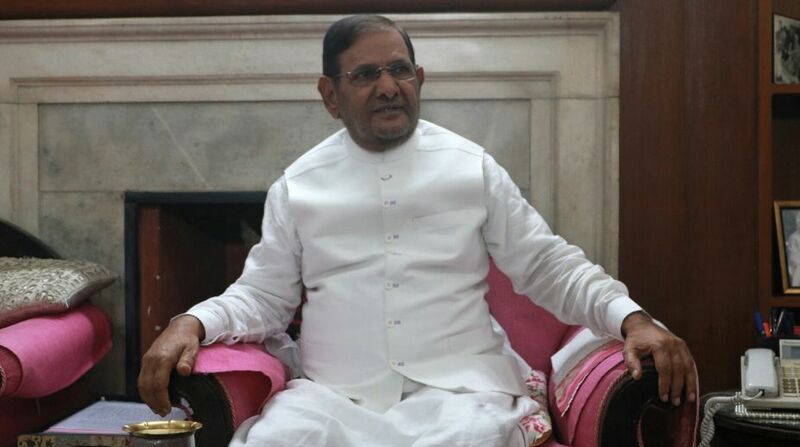 Sharad Yadav told IANS here that the JD-U faction led by Nitish Kumar would “lose the count of partymen they will have to suspend if he tours entire Bihar”. The suspended partymen included former minister Ramai Ram, former MP Arjun Rai, former MLA Raj Kishore Sinha, former MLC Vijay Verma, two district presidents and five block level chiefs. They were suspended for six years on charges of anti-party activities after they backed Sharad Yadav and accompanied during his three-day visit to Saran, Muzaffarpur, Madhubani and Darbhanga districts. Sharad Yadav conducted the tour to meet party supporters and understand their mood over Nitish Kumar’s decision. He said he had not spoken against Nitish Kumar even once despite the Chief Minister’s camp “ranting non-stop against me”.